Plastic pollution comes in many different forms, but perhaps the source that has been the most challenging to address and find solutions to are microfibers and other microplastics. As the science is clearly showing, microfibers, which are tiny synthetic pieces of plastic yarn from textiles and woven materials, are one of the biggest sources of plastic pollution in our oceans and they are found virtually everywhere on the planet. A recent study of stranded marine animals in the U.K. found microplastics in all 50 samples and 84% of the plastic were synthetic microfibers. When possible, Surfrider primarily focuses on solutions that reduce plastic pollution at the source. For microfiber pollution, this requires a significant transformation in textile and clothing production so that our clothing does not shed harmful plastic. Surfrider also supports and advocates for innovative infrastructure solutions that capture microfibers before they can enter our ocean. Surfrider is working with companies like Patagonia and the Outdoor Industry Association to gather and interpret the latest science, help coordinate solutions, provide the public with ways to reduce their microfiber footprint, and promote policies and legislation that will lessen the amount of microfibers reaching our ocean and coasts. Last year, Surfrider supported legislation in California that would put a label on clothes made of synthetic materials to educate the consumer on best practices to prevent microfiber release. Though this policy did not pass, it led to a broad discussion of policy options to address microfibers. This year, California legislators will again be introducing state legislation that will consider options for reducing microfiber pollution. 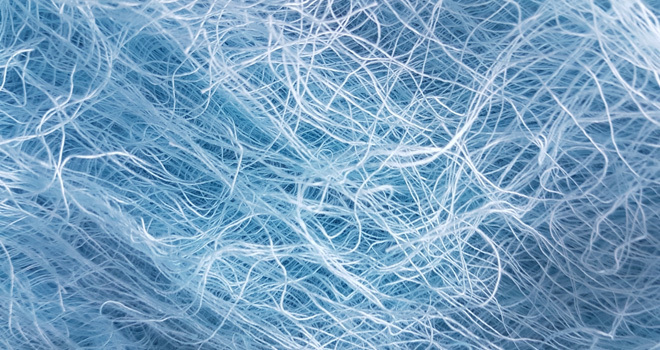 This may range from requiring upgrades in washing machines to capture microfibers, to other infrastructure and consumer education methods to reduce the release of the synthetic threads. 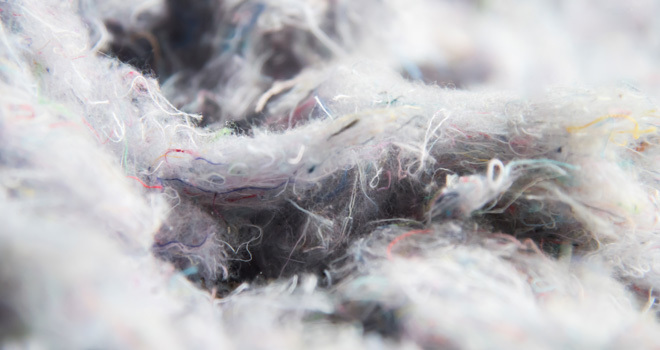 Last year, Connecticut passed a statewide bill that brings together a working group of industry and environmental advocates to brainstorm and implement solutions and consumer education to mitigate microfiber pollution. These policies and actions by local and state governments will not solve the problem alone, but will build towards comprehensive strategies and solutions that cover the entire microfiber pollution pipeline. While policy changes may be slow to respond to the scale of the threat, all of us can help reduce the amount of microfibers reaching our coastlines when buying and washing our clothes. Surfrider agrees with the foundation of tips promoted by STOP Micro Waste, a nonprofit out of Germany focusing on solutions to microfibers. Do you really need yet another new fleece? When possible, consider shifting your purchase choices to natural fibers like organic cotton. A little campfire smell only gives your clothing more character. Washing with cool water won’t make that much of a difference in how clean your clothes come out, and it will avoid the additional shedding from hot water breaking up the fibers. Heavy items lead to more friction, which means more fibers breaking during washing and ending up in the ocean. The goal is to have less agitation in the washer and dryer, so separate out the heavy clothing from light clothing. Synthetic clothing air drys fast anyway and the dryer may also contribute to microfiber release. Skip the spin cycle to prevent additional friction from causing more fibers to break. The more time in the washer, the more chances for microfibers to escape. Liquid detergent is best and use it sparingly. Though these devices are not an end-all solution, they provide an intermediate option to reduce the amount of microfibers that go down the drain, and are great ways to raise awareness about the issue. The Guppyfriend is a bag that you place your synthetic clothes in when you wash them. It catches microfibers that may shed from synthetic clothing, but more importantly it reduces the level of agitation in the washer, a significant factor in microfiber release. The best solution to catch microfibers in your laundry is an actual filter attached to your washer. Recent studies have shown that filters like Lint LUV-R and Filtrol 160 have a catchment rate of up to 87% of microfibers.